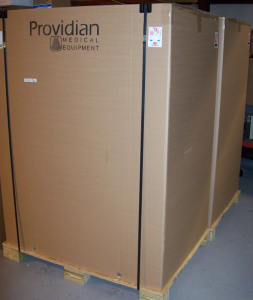 Providian Medical Equipment LLC, is a full-service sales company specializing in reconditioned medical equipment. Providian Medical provides premium, industry-leading new and used Ultrasound, Computed Tomography (CT), C-Arms, and Magnetic Resonance Imaging (MRI) equipment to the healthcare industry. Here at Providian Medical, we hope that you will look to us as your first and best choice in the refurbished medical equipment industry. Our philosophy is simple: We pride ourselves on customer satisfaction and hold ourselves to the highest standard of customer service. 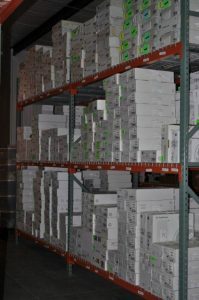 We are committed to using our expertise in the industry to identify and provide the right medical equipment to our customers at the best price in a timely and professional manner. We do everything we can to make sure we get it right the first time, and offer fast solutions if you ever need service on your equipment. This includes loaner and rental ultrasound programs when your system fails or if you need an ultrasound machine short-time. We also offer more than 100 free ultrasound equipment training videos, saving you the cost of expensive, hard-to-schedule applications training. With a large selection of fully reconditioned inventory, unique customer service programs, and a comprehensive knowledge of medical equipment technology, Providian Medical provides an unparalleled solution to your medical needs. Providian Medical is an FDA registered medical device company in the exclusive business selling high quality new and refurbished diagnostic equipment at competitive prices. Our extensive refurbishing process assures that each of our technically and cosmetically refurbished ultrasound systems, MRI and CT Systems, look and performs like new, is quality certified and meets all OEM specifications. Thanks for visiting Providian Medical’s website. When you are ready, give us a call at our toll-free number, 1-866-443-3246 or contact us and we will provide you with quotes and any other information you desire about our available systems. Providian Medical Equipment LLC Terms of Purchase of Equipment from Vendors or End users can be downloaded here.